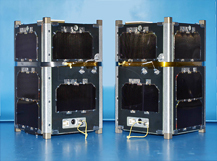 On Thurs., Dec. 5, 2013 at 11:14:30 pm PST, FIREBIRD was among a payload of 12 CubeSats on a United Launch Alliance Atlas 5 rocket launched from Vandenberg Air Force Base in California. 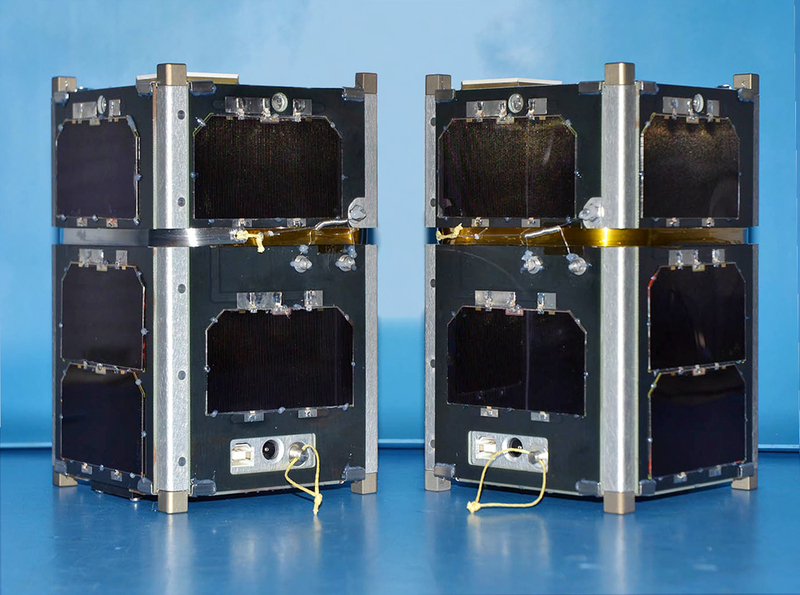 Dedicated to the payload of a major mission of the U.S. National Reconnaissance Office, the rocket ride was shared with this secondary payload of CubeSat projects. FIREBIRD (Focused Investigations of Relativistic Electron Burst Intensity, Range, and Dynamics) is a CubeSat dual satellite mission examining the spatial scale and spatial temporal ambiguity of magnetospheric microbursts. The project is a three-year cross-disciplinary team collaboration between researchers at the University of New Hampshire, Montana State University, Los Alamos National Laboratory, and the Aerospace Corporation. 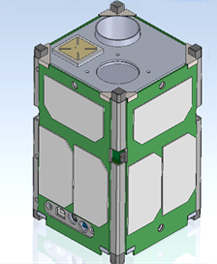 Research Focus: This space weather CubeSat mission will resolve the spatial scale and energy dependence of electron microbursts in the Van Allen radiation belts. Relativistic electron microbursts appear as short durations of intense electron precipitation, measured by particle detectors on low altitude spacecraft, appearing when their orbits cross magnetic field lines which thread the outer radiation belt. While microbursts are thought to be a significant loss mechanism for relativistic electrons, they remain poorly understood, thus rendering space weather models of Earth's radiation belts incomplete. • What is the spatial scale size of an individual microburst? • What is the energy dependence of an individual microburst? • How much total electron loss from radiation belts do microbursts produce globally? Educational Focus: Development of FIREBIRD will focus on maximizing the scientific return of the mission as a first priority. In addition to addressing fundamental space physics research and space weather applications, FIREBIRD will contribute to the training and education of a diverse population of university students in all phases of the project. Students will have major responsibility for the design and implementation of the instruments and the spacecraft while at the same time being mentored by professionals in each area of expertise. Fruits of this investigation will continue strongly for years, if not decades, as the twenty or more students working on this science mission become practicing scientists and engineers.